The nation’s eight fastest gamers are not the only ones enjoying Forza Motorsport 7 in the Harvey Norman Supercars Forza Challenge hub in Garage 31 at Mount Panorama. 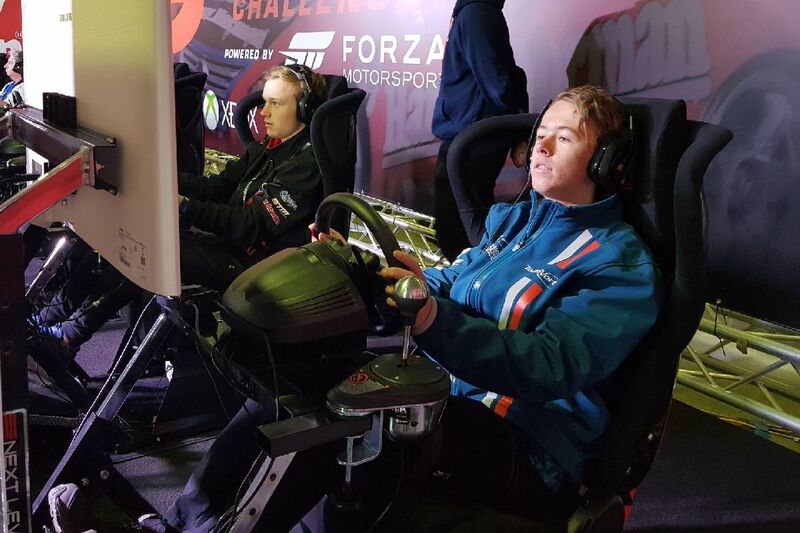 Sons of Bathurst guns, Ben Bargwanna and Clay Richards - offspring of Jason and Steven respectively - took advantage of the “free play” sessions, in which fans can sample the competition simulators. Based on the intense focus and ever-improving lap times, it seems Ben and Clay might have inherited more than a little of their famous fathers’ competitive streaks, featuring at the top of Saturday’s times. “We both really want to beat each other and so far the times are very close – I’ve done a 2:10.9 and Clay has done a 2:10.8,” Ben said. “The handling is really good, you can feel the car through the steering wheel. Ben and Clay are also enjoying the experience of playing the latest, just-released edition of Forza. “I’ve played some of the previous Forza games and Ben has played every one since Forza 2, and we’re both loving it,” Clay said. The 2000 Bathurst winner with Garth Tander, Jason was also seen in Garage 31, egging his son on in one of the sessions. “That was going to be a really good lap but you ran wide at Murray’s Corner!” he yelled. Any Bathurst 1000 attendee with a paddock pass can have a turn on the Forza Motorsport 7 simulators in Garage 31 during the “free play” sessions. The Harvey Norman Supercars Forza Challenge continues on Saturday with heat races before the Grand Final.